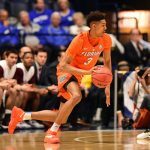 Florida Gators freshman guard Eric Hester, who played sparingly as a deep reserve his first year with the program, will transfer this offseason, two sources confirmed to OnlyGators.com on Wednesday. Hester was the top signee in head coach Mike White‘s first full recruiting class as the 125th ranked player in the nation coming out of high school in 2016. He adds to a long list of departures for the Gators this offseason, which includes point guard Kasey Hill, G Canyon Barry and center Schuyler Rimmer — all gone due to graduation. 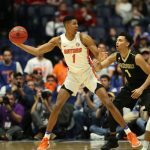 Junior forward Devin Robinson is testing the 2017 NBA Draft waters without hiring an agent but is ultimately expected to leave, and redshirt junior C John Egbunu is doing the same, though an ACL injury that will keep him out of action until next January will likely halt him leaving school early. Hester averaged 2.2 points in 5.6 minutes per game last season, making 15-of-23 field goals and 11-of-19 three pointers. 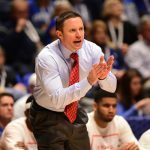 He certainly flashed when given the opportunity, so it will be interesting to find out the reasons for his departure, which was first reported by Landon Watnick of InsidetheGators.com. Florida was set to be one scholarship over the NCAA’s limit of 13 as the program is bringing in four signees as part of the 2017 cycle. When Robinson officially departs, and if Egbunu does as well, the Gators will have the opportunity to fill those spots with transfers.